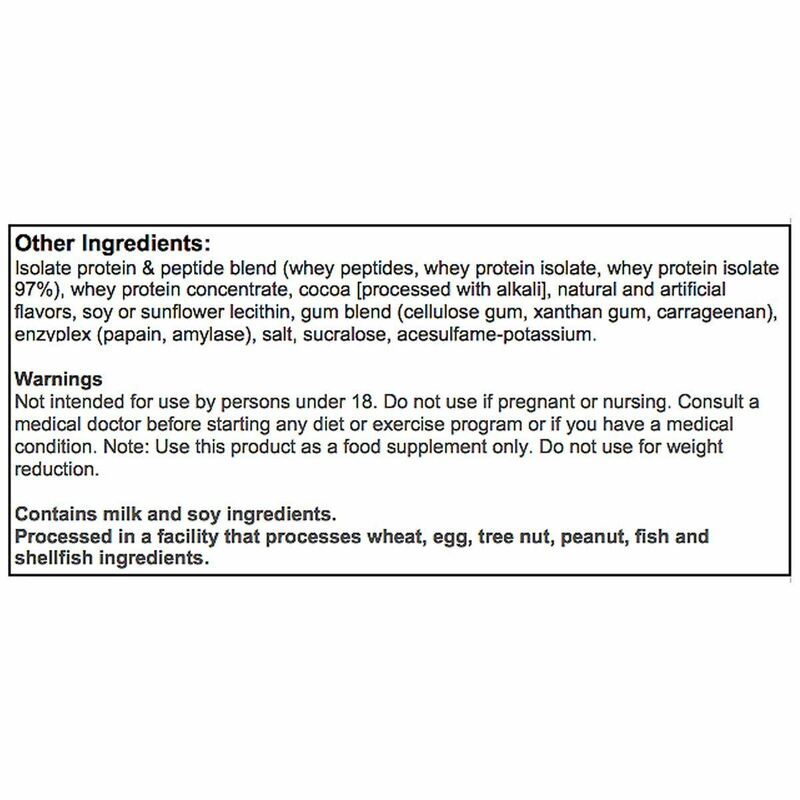 Key Ingredients Whey Protein Isolate, Whey Peptides, Whey Protein Isolate 97%), Whey Protein Concentrate, BCAAs,Creatine. 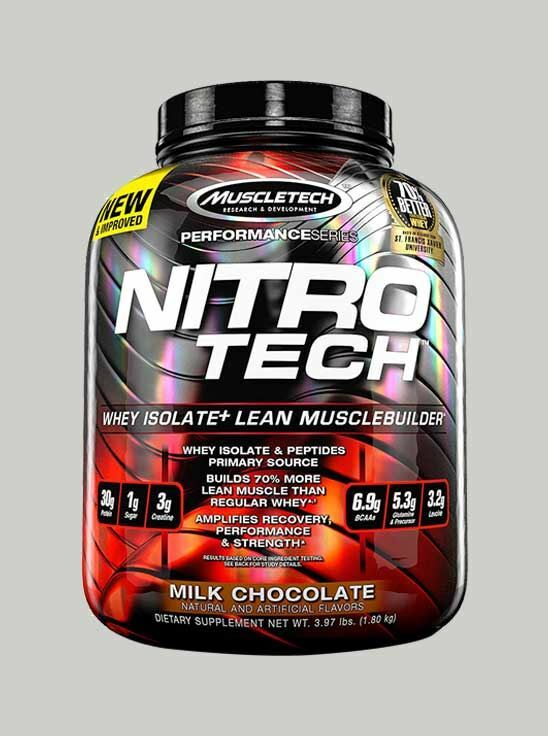 MuscleTech NitroTech Performance Series is a protein-rich supplement enriched with creatine and amino acids. 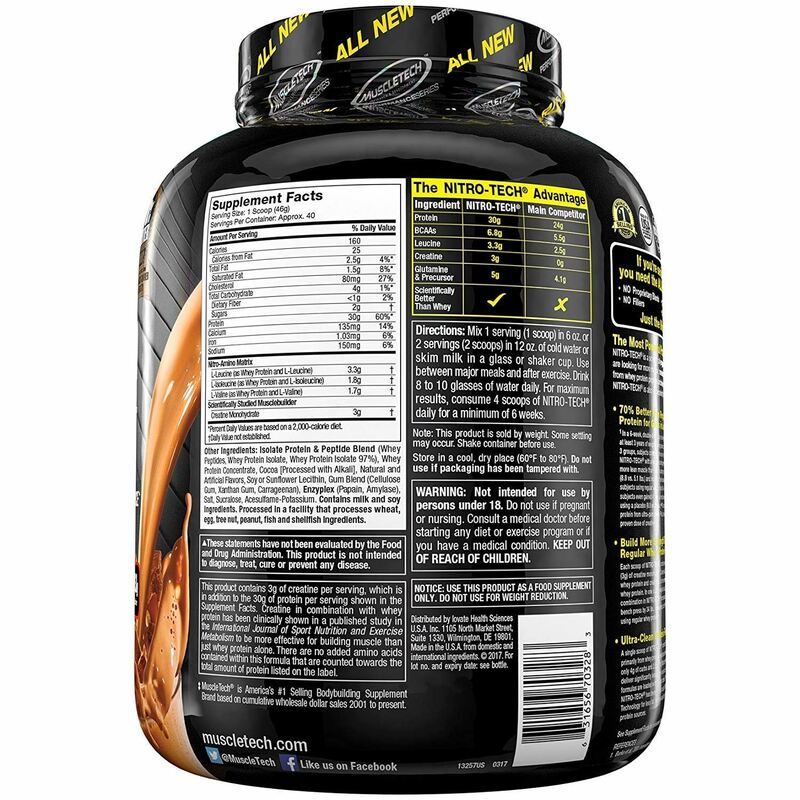 It consists of a protein blend derived from whey protein isolate, concentrate and hydrolysate. 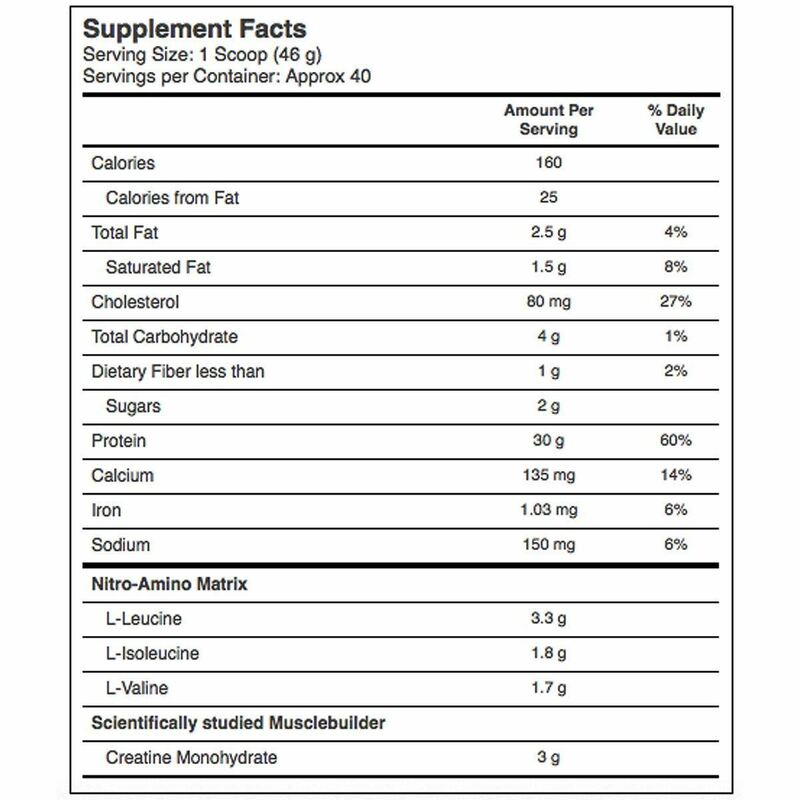 It includes creatine, a proven amino acid that aids in gaining strength and increasing muscle volume. MuscleTech NitroTech not only helps in muscle gain, but also prevents muscle breakdown through its glutamine rich protein profile. Also, it energises your body post workout sessions and enables speedy recovery from muscle soreness and fatigue. Further, this supplement helps in the volumization of your muscle cells and tissues. This supplement aids in better muscle contraction and thus leads you to have enhanced athletic performance. 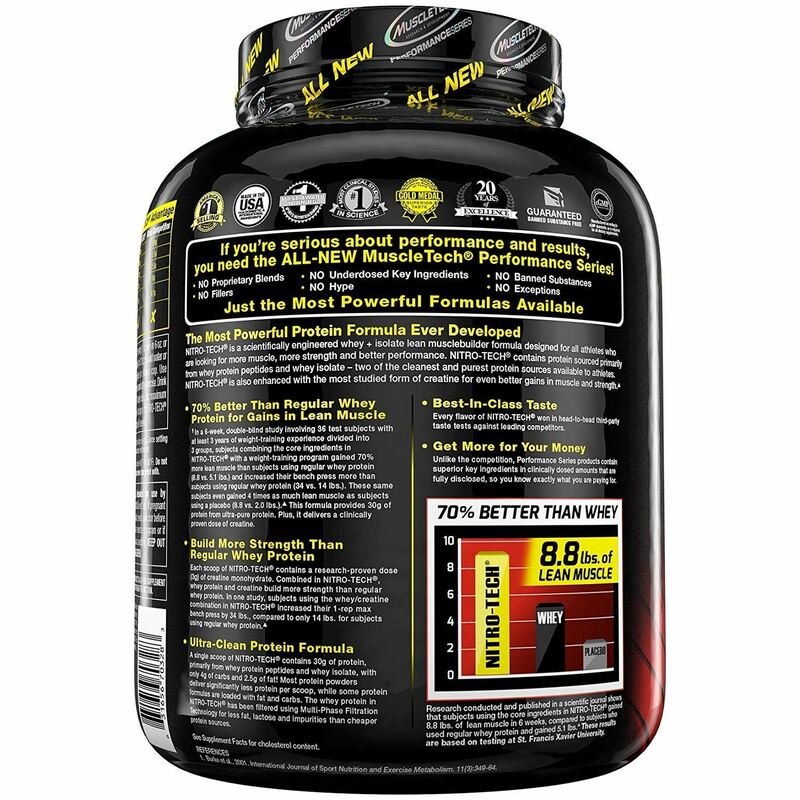 MuscleTech NitroTech Performance consists of creatine, a muscle-building compound, which helps you to gain lean muscles and aids to increase your overall workout performance, thereby helping you to gain desired results. It increases your muscle stamina and helps your muscles recover rapidly from heavy exercise sessions. Mix 1 serving (1 scoop) in 6 oz or 2 servings (2 scoops) in 12 oz of cold water or skim milk in a glass cup or shaker cup. Use between major meals and after exercise. Drink 8-10 glasses of water daily. For maximum results, consume 4 scoops daily for a minimum of six weeks.